As you know from the movies, the title and duties of Santa Claus are passed down from generation to generation, and now, Santa is ready to choose his next successor. But who says it has to be another human that takes up the role? With his jolly, larger-than-life spirit, not to mention his ability to spread joy to everyone he meets, your dog is a strong contender for the job. So why not make it official this Christmas with the Santa Pet Costume? This outfit has everything you'll need to transform your little buddy into Mr. Kris Kringle himself for the holidays. That includes the classic red Santa jacket with white faux fur trim (we figured your pal has enough real fur to get him by), and of course, the iconic tassel hat (which stays on thanks to an elastic headband). 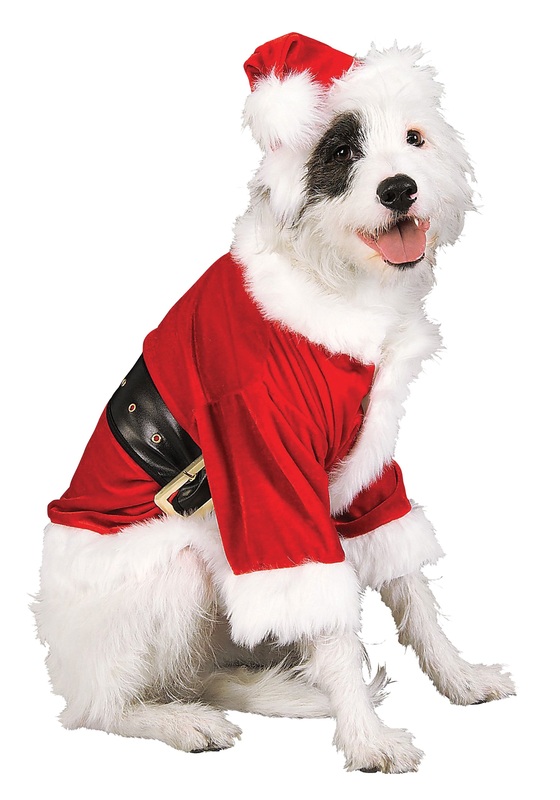 The Santa Pet Costume comes in different sizes (for dogs roughly 7" to 28" neck to tail), so whether your dog is jolly or a bit of an elf, Santa Claus can come to your house this Christmas!